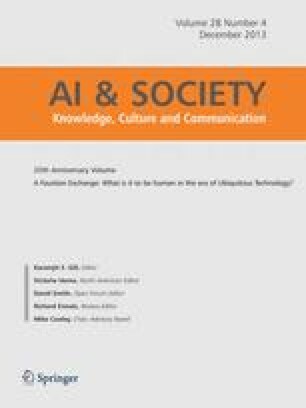 25TH ANNIVERSARY VOLUME A FAUSTIAN EXCHANGE: WHAT IS IT TO BE HUMAN IN THE ERA OF UBIQUITOUS TECHNOLOGY? The age of technological society demands that ethical concerns of the path are not forgotten. Technological powering of a personal act shortens the gap between organization and person, and personal ethical concerns then face a dilemma. Indian’s thought suggests that if a mental state of equanimity without contention prevails over as a process, the evils and demerits disappear and ethical dissonance reduces because there is no common evil. Further, it is no longer necessary to translate potential consequences of the choices in terms of risks. Liberty peace and love in this technological time come through the state where the approach is for hands-off.